Great fixer upper in nice neighborhood! Sold as is with no warranties expressed or implied. Large yard with shed in back. Short distance to high school and college. 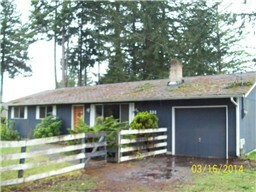 Close to shopping area and quick jump to HWY 101 for fast commutes to Olympia. Richard Beckman SOLD this Shelton home for $56,000.